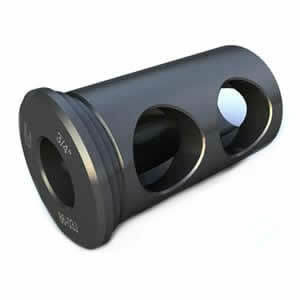 Lathe Tool Holder Bushings & Boring Bar Sleeves » Rovi Products, Inc.
Order Tool Holder Bushings and Boring Bar Sleeves Online! 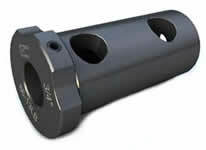 We offer a line of Tool Holder Bushings and Boring bar Sleeves in a variety of styles and sizes. 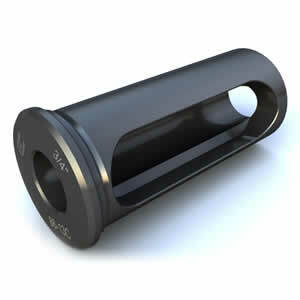 All Holders and boring bars are manufactured using alloy steel and precision machined and ground concentric. 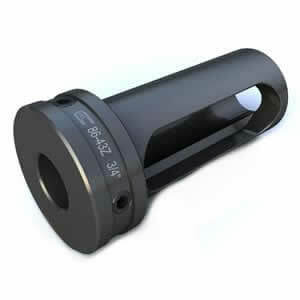 These Bushings and Sleeves are ideal for reducing the ID of your Tool Holder to accommodate your different size boring bars. If you do not see a style or size that fits your needs please contact us as we can offer specials! 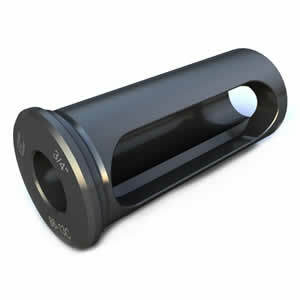 Please select the tool holder style that you are interested in from the thumbnail links below to order. 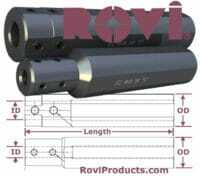 ROVI Has made it easy to order all fractional inch ID sizes online. Metric sizes available to order by phone. 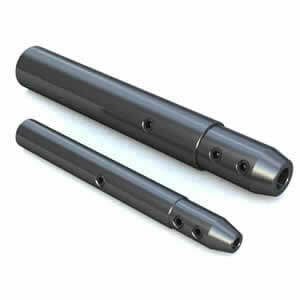 ROVI also carries both the “V” type (Brookfield style) and Bushing type fully Adjustable Floating Drill Holders. 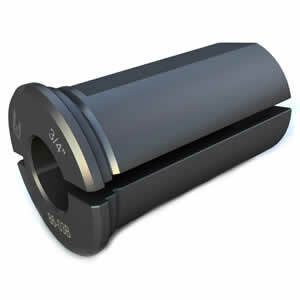 Choose Tool Holder Bushings and Boring Bar Sleeve style below to Order Online. 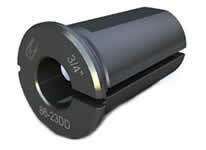 “Z Style”: Elongated Slot. 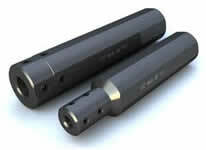 Head with Set Screws for increased Rigidity and Decreased Chatter. Z Short and Z Long Available. 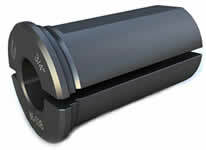 “C Style”: Elongated Slot. Universal Style! 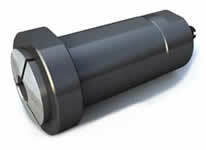 Designed to fit all types of Set-screw configurations. C Short also available. 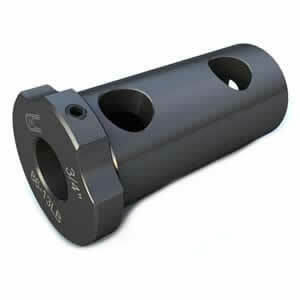 “CS Style”: Designed for Shorter Applications and Universal Use on all CNC Turning Machines : This CS Bushing Elongated Slot. Universal Style! CS = C Short Style. 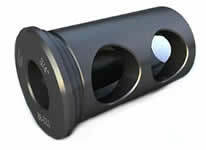 “CNL Style”: Designed to Fit the Mori Seiki NL Series Bolt-on Tool Blocks: This CNL Bushing has an Elongated Slot. Universal Style! “J Style”: Two Hole Style. Requires precise alignment of Set Screws. Clearance Holes to clamp directly on the Tool. “B Style”: Split Style. Shorter Length. 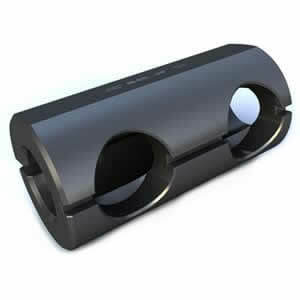 Clamp on Flat to Hold Tool. 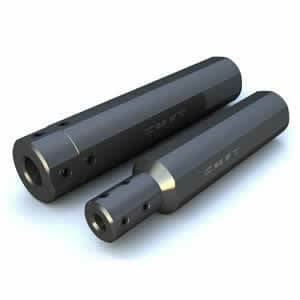 Used to adapt Drills, Boring Bars, and other Shank Tools. “DD Style”: Combination J and B Style Bushings. “L Style”:Shoulder-less combination of J and B Styles. 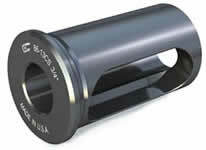 All “L” style bushings are shoulder-less, have set screws clearance holes opposite the slot and have a split with a flat on the OD. 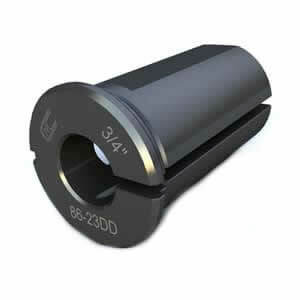 “LBF Style”: Designed for use on Okuma LB Machines. 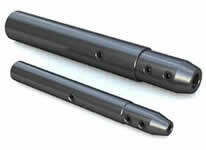 Flat and Set Screw Style. Coolant Notches on Head. 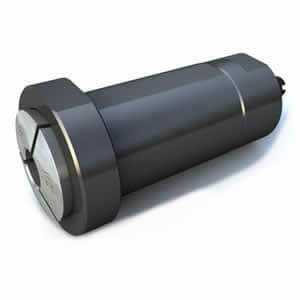 “LB Style”: Designed for use on Okuma LB Machines. 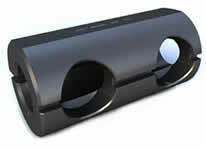 Four Hole Style with Coolant Notches in Head. 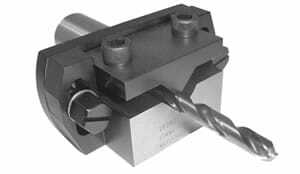 “Boring Bar Sleeve”: Longer Style Toolholder. 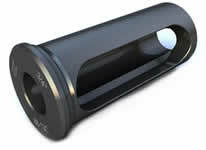 Ideal for Coolant thru Tools. 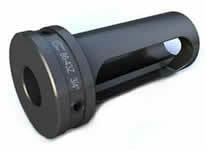 1 1/2″ OD have new neck-down Style configuration. 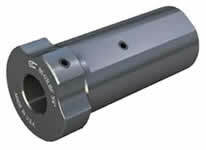 “Small OD Boring Bar Sleeve”: Bars have ID holes from 3/32″-1/4″. 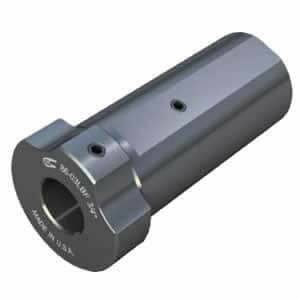 “5C Collet Holder”: Put your 5C Collets to use! Adds flexibility, versatility and reduces Set-up time.